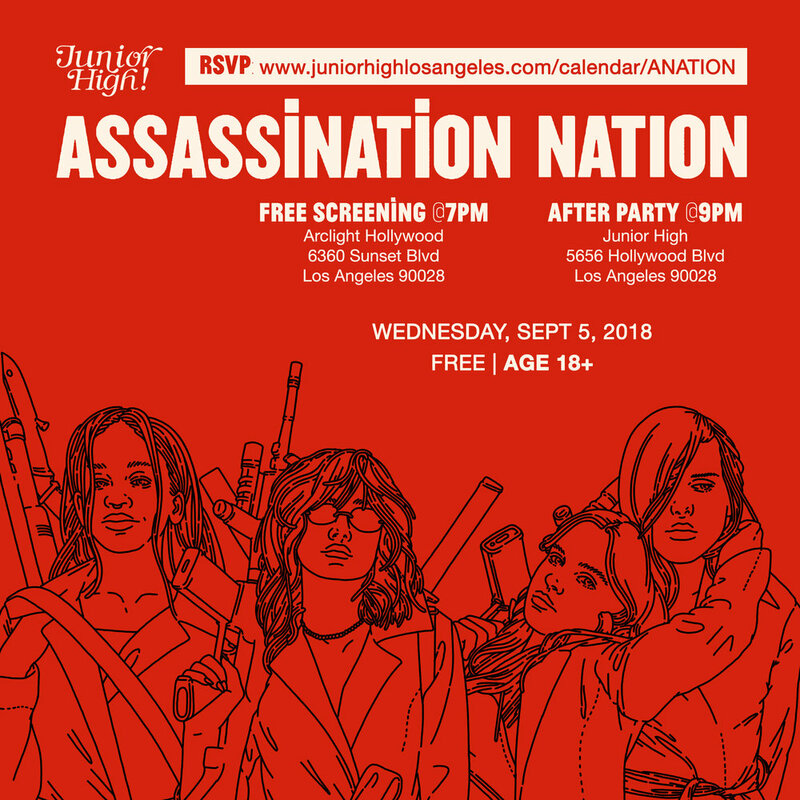 SCREENING + PARTY | 18+ | FREE | Join us for a free screening of the film Assassination Nation, the thousand percent true story about how the quiet, all-American town of Salem absolutely lost its mind. Starring Odessa Young, Hari Nef, Suki Waterhouse, & Bella Thorne. The screening will be at the Arclight Hollywood, followed by an after party at Junior High Los Angeles.